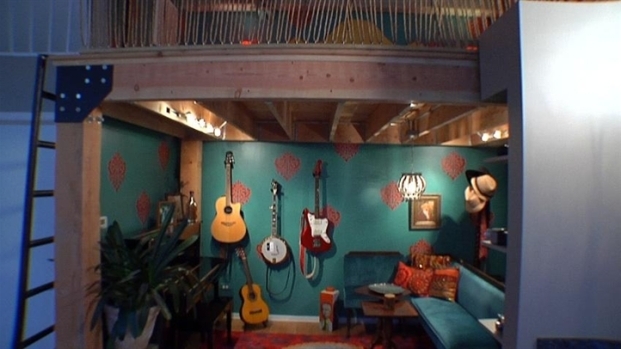 Watch as designer Meg transforms a home from Bohemian cheap to Bohemain chic. Watch video above. Homeowner Annamarie takes us through her traditional colonial brick home uniquely located right on Alamitos Bay in Long Beach, CA. Watch now. Thomas Britt takes us inside his amazing Hamptons home dubbed "Britthampton". Once inside, it's easy to see why Thomas has been named one of Architectural Digest's top 100 designers. Watch now. Homeowner Morgan E. Cline takes us behind the doors of his classic home on the Navesink River in Middletown, NJ. This gorgeous home was designed to resemble the classic compounds of Kennebunkport and Newport. Watch now. We get design tips from HGTV's Meg. She transforms Bohemian cheap into Bohemian chic. This episode of Open House was hosted from 155 Duane St., New York, NYFor more information on this property please contact Keith Knight of Citi Habitats at 646-783-9041. Visit the Website. Jill Vegas transforms a children's bedroom all in just one day. Special thanks to Ikea and Duggal. Watch now. This episode of Open House was hosted from 155 Duane St., New York, NY. For more information on this property please contact Keith Knight of Citi Habitats at 646-783-9041. Visit the website.